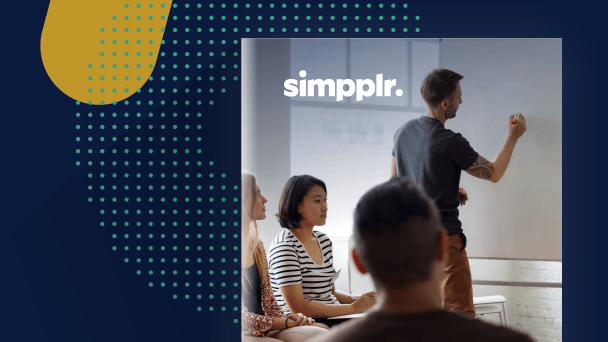 As we continue with our Simpplr Blog post series about intranet governance, we’re going to discuss the role a governance committee plays. In our last post we covered who should be represented in a governance committee – now what should they do? In addition to the team’s responsibilities below, it’s important to realize that an intranet governance committee is more broadly the internal communications strategy committee. It’s more than just technology review. While members come and go, the team needs to continue working together for the full duration of the intranet. They can’t move on after launch. Most of the real work hasn’t even begun yet. At a high level, this governance committee ultimately ensures employees are connecting, aligning on purpose and strategy, and strengthening their sense of community. So you have the intranet governance team, what do they do? Outline the charter of the intranet (i.e. what outcomes you’re trying to achieve). This topic is so important and consistently overlooked by organizations that we’ve decided to write a separate post on the topic. Net-net the team needs to collectively agree on what the internet (and broader internal communications strategy) goals are and establish a means to track them. Set intermediary goals, success criteria, and measurement to further progress the charter. Much of the intranet governance team’s time will be spent evaluating progress, assessing adoption & feedback, prioritizing content and development roadmaps, and assessing milestones. Many organizations rely on IT to gather requirements and source technology without involving the user personas up front. This is a bad idea and will set your intranet up for failure. Working together now will prevent a lot of pain down the road. Ultimately, the governance committee will have a means to report back to management on its effectiveness. For example, use report metrics that support your initiative: improving the overall productivity, morale, and company culture. The intranet governance committee serves as a board of directors for the internal communications group and the intranet administrators. They should sign-off on what’s being prioritized and communicated. Since a distributed site governance model increases both clutter and compliance risk, the intranet committee should have oversight to vet sites with strategic priorities. While the intranet administrators should prepare the engagement data and employee feedback for such discussions, the governance committee can help prioritize and escalate issues. 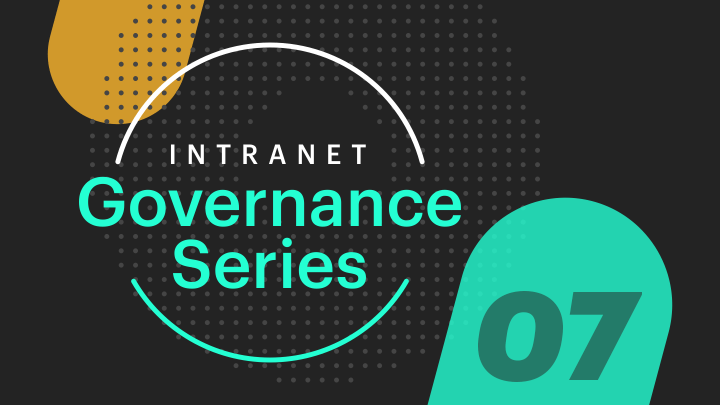 Just like board members typically have fiduciary responsibilities to help their organization succeed, so should the intranet governance committee commit to the content calendar. Content is king and successful intranets need an active editorial calendar. We plan to discuss this more in a future blog post. Most practitioners we’ve spoken to say that best practice is for the committee to meet at least monthly with more formal business reviews quarterly. But realistically, the frequency will depend on your organization. In a future post, we’ll go more details about the intranet administration team’s roles and responsibilities and how they reconcile their day to day operations with the intranet governance committee.